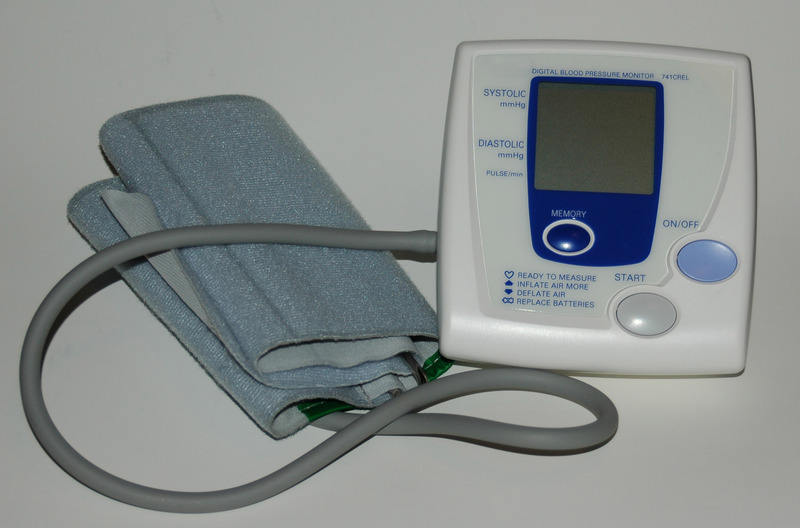 Your blood pressure is ascertained by a machine that takes two reading. The first measurement is called the systolic pressure and is measured while the heart’s ventricles are contracting, this reading is normally higher than the second one which is known as the diastolic pressure and the force is measured during ventricle relaxation. There is not as such a set measurement for blood pressure but more an accepted level of normality. This is because blood pressure varies from individual to individual. To complicate matters as we get older our blood pressure increases. To arrive at a diagnosis of high blood pressure your doctor would probably take your blood pressure reading on 3 separate occasions. If the blood pressure is found to be above the accepted level of normality he may diagnose the condition as hypertension. There are health problems that could lead to high blood pressure and your doctor will try to establish the cause. However, usually it is not possible to determine a cause and this condition is known as essential hypertension. You can go for many years with high blood pressure and never become aware of it until a normal health check may flag up the problem. This is because in many people hypertension does not show any symptoms to alert the individual to the problem. There is a clear link between hypertension and age and a number of other factors such as Body mass, excessive sodium (salt) intake, increased alcohol consumption, genetic predisposition and a lack of activity/exercise. Severely raise blood pressure can cause us problems such as regular and prolonged headaches and palpitations also an all-around general feeling of being unwell. High blood pressure can bring us many serious problems, such as heart attack and heart failure as well as stroke and kidney damage. You can now get an understanding of why your doctor would be concerned and he would, if all else has failed, begin treatment to reduce the risk of you suffering any one of these life-threatening illnesses. Stage one: hypertension level would possibly call for self-help measure such as exercising on a regular basis, losing some weight, lowering alcohol consumption, avoiding an excessive amount of salt, are just some of the measure that could help. Stage 2: If all self-help measures have failed possible intervention with drugs may be advised by your doctor. Stage 3: Drug intervention would be advised to try and avoid the probability of serious health problems. The Joint National Committee on Detection. Evaluation and Treatment of High Blood Pressure. There are certain groups of people who are seen as being at risk. These include people with pre-existing heart damage, diabetics, smokers and those individuals with high levels of fat in their blood. It is possible to reduce high blood pressure without the use of medication these include exercising on a regular basis, losing some weight and avoiding an excessive amount of salt in your diet. In people where blood pressure is severe and self-help measures have failed your doctor would then resort to medication. There are a few drugs with anti-hypertensive properties that your doctor can try including beta blockers, calcium channel blockers, centrally acting anti-hypertensives, ACE (angiotensin-converting enzyme) inhibitors, alpha blockers and diuretics. As I mentioned above high blood pressure can be helped with diet, exercising etc. alone. It is when these measures have failed to bring about a lowering of your blood pressure and there is a threat to your health if the condition is allowed to continue that your doctor would prescribe one of the drugs above. You should be aware that these drugs do not cure hypertension and you may need to take them indefinitely (lifelong). However, having said that it is sometimes possible to slowly reduce treatment when your blood pressure has been at normal levels for a year or more. Not only does blood pressure depend on the force with which the heart pumps blood, it is also dependant on the diameter of the blood vessels and the amount of blood in circulation. Blood pressure is increased if the volume of blood in circulation is too high or there is a narrowing of the blood vessels. Either way, anti-hypertensives work by dilation (enlarge) of the blood vessels or reducing blood volume. Like I have already said above there are several classes of drugs which can be used and they all work in different ways and some of them have more than one action. Depending on which type of medication you are given will determine how it works to reduce your blood pressure. Centrally acting anti-hypertensive drugs act upon the brains mechanism that controls blood vessel size, while beta blockers reduce the force of the heartbeat. Diuretics act on the kidneys to reduce blood volume. ACE (angiotensin-converting enzyme) inhibitors act on enzymes in the blood to dilate (enlarge) blood vessels. Alpha blockers block nerve signals that trigger constriction of the blood vessels while vasodilators and calcium channel blockers, act on the arterial wall muscles to prevent constriction. As many individuals do not suffer any ill health having high blood pressure when it is diagnosed and treatment is given it is possible that the side effects of these drugs will be more noticeable than any ill effects being felt from the condition itself. Some of the antihypertensive drugs can cause both dizziness and fainting spells at the start of treatment, this is because some of these drugs can cause an excessive fall in blood pressure. When you are prescribed one of these drugs it may take a little while for your doctor to find the correct tablet and the correct dosage for you avoiding such side effects. It is important for your doctor to understand how the drug affects your hypertension, this includes both good and negative results. The medication should be taken as your doctor has prescribed even if you feel your condition has improved and seems under control. Sudden withdrawal of some of these drugs can cause a potentially dangerous increase in your blood pressure. Talk with your doctor if you feel your condition is under control and be guided by his or her advice. He/she may suggest a reduced dosage over periods of time avoiding a potentially dangerous rebound increase in blood pressure.